Newly opened in 2016, Riad Chérifa has 4 suites and 8 rooms available. All are fully equipped with a high attention to detail. 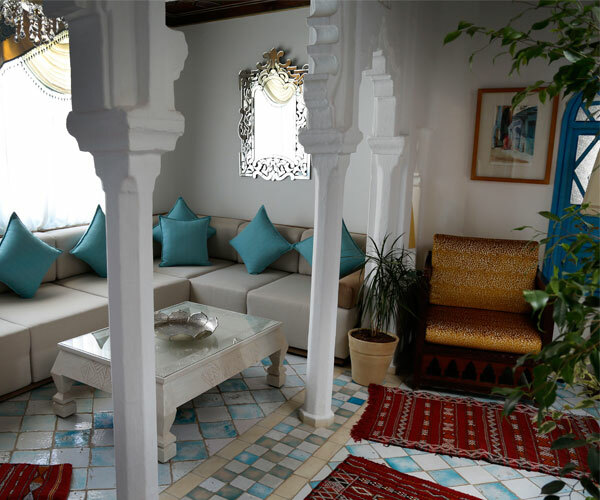 The Riad is located in a quiet side street of Hassan Al Awal, at one of the main intersections of the old Medina, which connects Bab Souk and Bab Onsar. 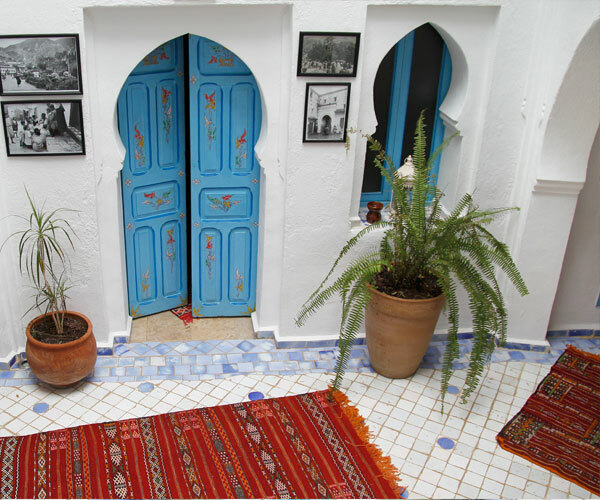 The name of the Riad is a tribute to a famous woman, Saida Horra, who played a major part in the history of Chefchaouen. The Riad combines two traditional Chefchaouen houses and has retained its original Andalusian-Moroccan architecture. The tradition atmosphere of the Riad preserves and maintains its cultural heritage, while seamlessly combined with modern luxuries. Lounges, terraces, and a variety of comfortable seating areas and small gardens invite you to linger. The love of decorative art is expressed through beautiful mosaics, woodcarvings, ornamental painted ceilings and doors, antique and stylish furniture, fountains and ornate wrought-iron windows. Upscale exquisite examples of local craftsmanship such as carpets, embroidered curtains, lamps, crystal chandeliers, antique furniture as well as paintings and historical photographs are a delight for the senses. 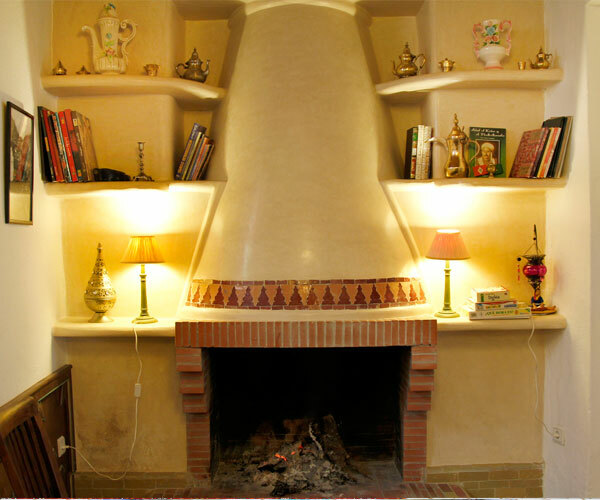 The Riad is equipped with the modern amenities including air conditioning, heating, fridge, safe and TV. Wifi is available. The bathrooms are decorated in Fez Zelig offering superior comfort. Blow dryers are available. A large, beautifully equipped Hammam offers an opportunity to enjoy luxury Spa treatment. The artful design of the interior design bears the signature of Meriam, the Patroness of the Riad. Her husband is the owner of Casa Hassan in Chefchaouen.